“Eastbound & Down” returns Sept. 26th, but Kenny Powers is already back, baby! 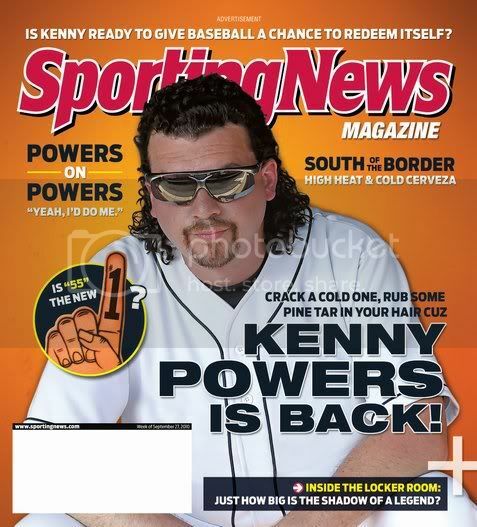 For those who were intently following the saga of baseball legend Kenny Powers, it’s been a heck of a long wait since the end of HBO’s “Eastbound & Down” back in March of last year, but all that time spent pining for Powers is about to pay off. September 26th marks the return of the the series to the network’s line-up, but if you can’t wait ’til then, the Bullz-Eye Blog can at least offer you an exclusive shot of Kenny as captured for the cover of The Sporting News. Check out some of the other (non-exclusive) covers after the jump, along with HBO’s press release for Season 2 of “Eastbound & Down” and a couple of clips to further assist you in surviving ’til Sunday night.